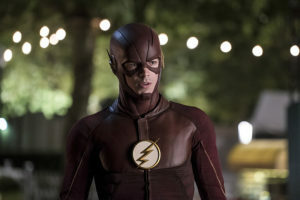 The CW has now released some preview images for “Shade,” the November 15 episode of The Flash. 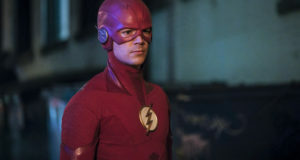 WALLY HAS VISIONS OF BEING KID FLASH — When Wally (Keiynan Lonsdale) starts having dreams about being Kid Flash, Barry (Grant Gustin) realizes he has to tell Wally, Iris (Candice Patton) and Joe (Jesse L. Martin) about what happened to Wally in Flashpoint in order to keep him safe. JJ Makaro directed the episode written by Emily Silver & David Kob (#306). Original airdate 11/15/2016. UPDATE: The CW has released an additional, possibly very spoilery photo of Danielle Panabaker (Caitlin) in costume as Killer Frost! You can see that here. 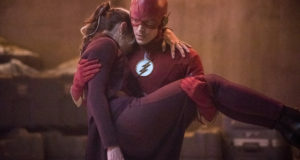 This shot surely leads into the Nov. 22 installment of The Flash, which is itself called “Killer Frost.” You can find a gallery of recently-released photos from that episode here! 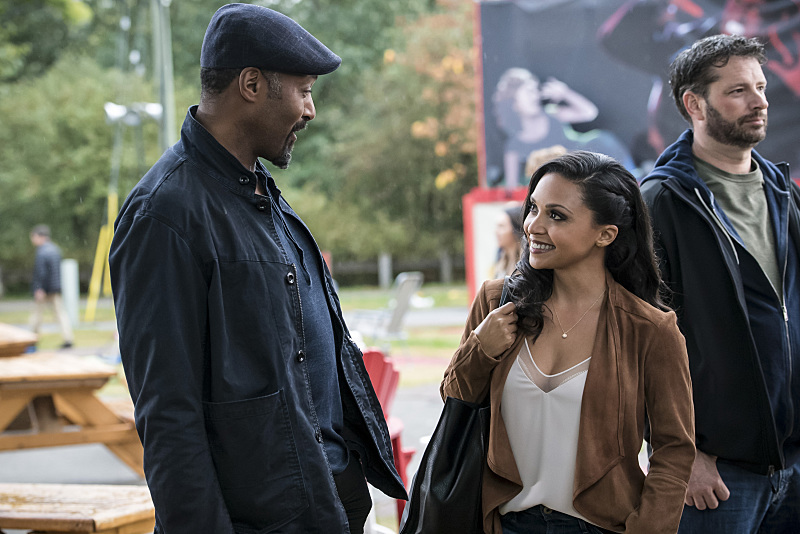 The Flash -- "Shade" -- Image FLA306a_0002b.jpg -- Pictured (L-R): Jesse L. Martin as Detective Joe West and Danielle Nicolet as D.A. 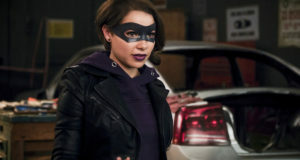 Cecile Horton -- Photo: Katie Yu/The CW -- ÃÂ© 2016 The CW Network, LLC. All rights reserved.